4. Does Cochlear Nerve Size Differ Among Societies? Objective: Cochlear nerve size is a prognostic factor for successful cochlear implantation. Reports about the cochlear nerve size in normal-hearing patients and differences among societies in the cochlear nerve size are not satisfactory. The purpose of this study was to determine the average cochlear nerve size in normal-hearing adults and to investigate whether there is a difference among societies on the basis of literature data. Materials and Methods: This retrospective study included 21 patients (38 ears) who underwent Magnetic Resonance Imaging (MRI) because of either vertigo and/or tinnitus complaints. Measurements were conducted on parasagittal constructive interference in steady state (CISS) sequence MRI. Vertical and horizontal diameters and cross-sectional area (CSA) were evaluated at the fundus of the internal auditory canal. Differences in the cochlear nerve size between the right and left ears and gender were evaluated. The difference in the cochlear nerve size among societies was compared with a z-test using data from literature. Results: The average vertical diameter, horizontal diameter, and CSA were 1.11 mm, 1.10 mm, and 0.96 mm2, respectively. No difference was found between the right and left ears and gender and among societies. Conclusion: This study shows that the mean normal size of the cochlear nerve does not change between right and left ears and gender and among societies. Coronary artery aneurysm is a rare anomaly and is defined as the expansion of the diameters of normal coronary arteries by ≥1.5 times. Aneurysms reaching 4 times the normal size or 8 mm in diameter are defined as giant coronary aneurysms. Giant aneurysms involved in all of the left main coronary artery (LMCA), left anterior descending artery (LAD), and right coronary artery (RCA) are very rare. Here we report a case of a 47-year-old man presenting with non-ST elevation myocardial infarction and LMCA, RCA, and LAD coronary giant aneurysm as well as spontaneous dissection of the distal LAD. Cystic echinococcosis (CE) caused by Echinococcus granulosus has been endemic in many parts of the world and involvement of the liver is the most frequently seen form. However, primary musculoskeletal involvement is rare. The radical treatment is surgical resection followed by anthelmintic medical therapy. 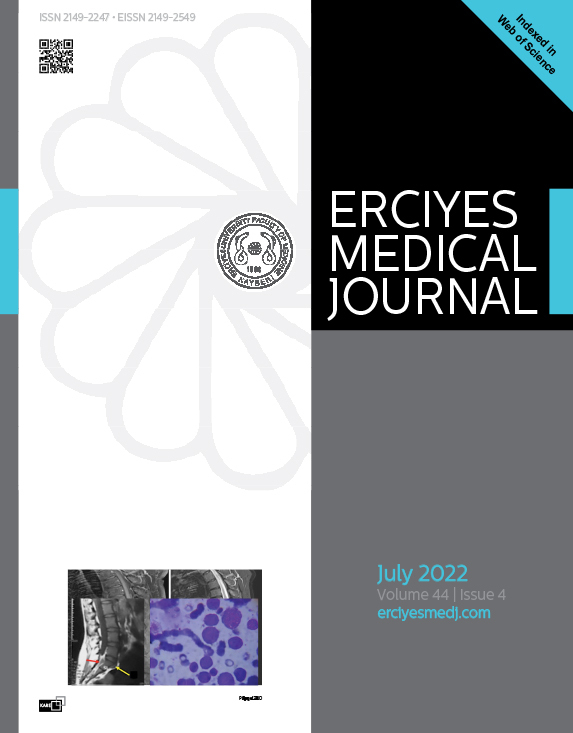 In this study, a case of a 38-year-old woman with rare localization of CE in the psoas muscle at the proximal thigh is presented.